eSchedule is powerful and easy-to-use employee scheduling software that ensures your workforce is at the right place at the right time. Uncontrolled absences increase employee workload and overtime pay. We'll give you a live tour. Catered to fit your needs. Reduce the time spent creating and sharing your employee schedules. Instantly fill open shifts, track time-off and efficiently manage shift-trades. Ensure managers & employees are up-to-date with instant notifications. Easily manage and share employees across all locations and departments. Optimize your labor requirements based on historical demand. Generate customized views into all of your scheduling & employee data. Simplify your payroll by tracking breaks and actual hours worked. Prompt support & personalized setup via phone, email or online. Effectively manage employee schedules, availability, open shifts and absence requests. Employees interact with schedules, pickup/swap shifts & request absences while managers always maintain real-time visibility and control. Take advantage of our scheduling wizard and create your schedules in minutes instead of hours. Choose from a library of templates or import your existing schedules – then easily copy, revise and share across your entire organization. Start saving more time and money! Our fees are substantially less than other employee scheduling solutions and we do it without sacrificing the functionality you need to keep everyone in the right place at the right time. Our proprietary Shift GuidanceTM algorithm can anticipate labor demand and optimize schedules with historical ERP/POS data. We can more efficiently schedule employees across multiple locations helping you react to unexpected changes. Manage unlimited schedules, locations and employees. eSchedule is trusted by the world’s largest eyeglass retailer to manage thousands of locations and keep tens of thousands of employees in the right place at the right time every single day. The eSchedule Team prides itself on unparalleled customer service with extensive support to help you implement Shift GuidanceTM, load system data and successfully introduce eSchedule across your entire organization. "Using eSchedule has removed scheduling errors and made scheduling easier and less time consuming. 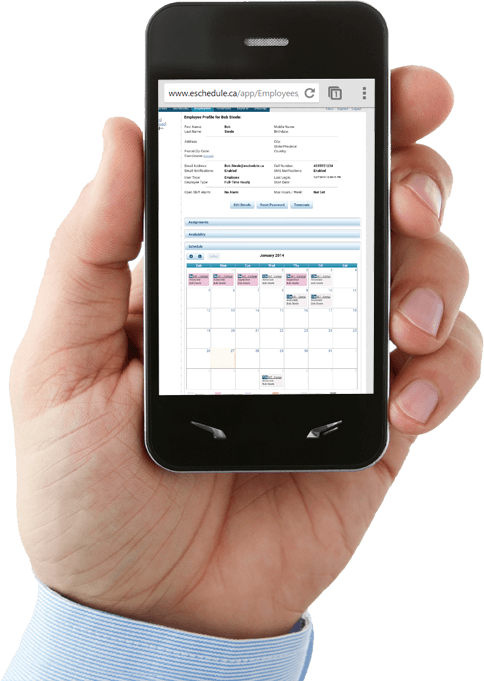 We have completely eliminated paper schedules using eSchedule." "eSchedule has a low learning curve and the flexibility to quickly accommodate our changing business needs"
"Of the dozens of scheduling tools I looked at and tested, eSchedule met our specific requirements"
"Within one quarter, we increased sales by 10% and recovered three quarters of labor overruns."